In other news, if a soft toy version of Yellowbelly was available, I would buy one. Or two. I love that Yellowbelly has a Wii-mote on his wrist. So cute. And I agree with Lizze--where are the plush toys? My wife and I were playing that last night. Still near the start of it, but what a fun game! 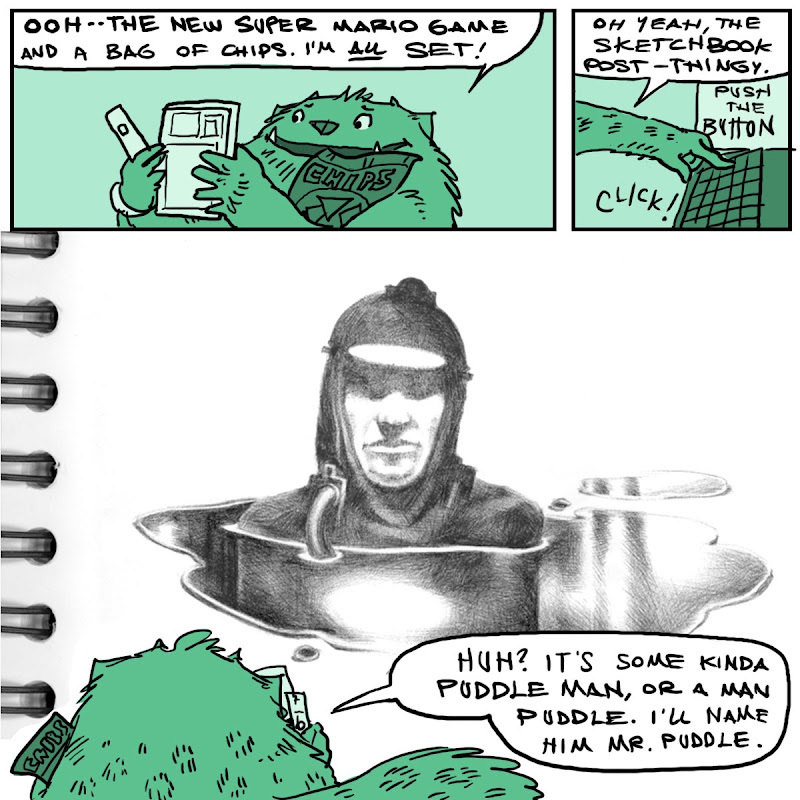 Yellowbelly is fantastic, love his insight to old drawings you've done hah. I'm so loving this month!